Shopping for a new dishwasher can be quite a chore. There are numerous different manufacturers, and there are hundreds of different models from which you can choose. When you look at the different models, you will see all sorts of features, special programs and machines that come in a variety of sizes. Beyond that, you have to think about the quality of the machines construction and engineering. It is a lot to consider for the average buyer. 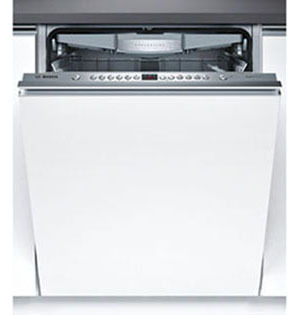 So how do you know which dishwasher is the right one for your home? Even if you’re not looking to spend over £500 – and you easily could with some of the top models that are available – it’s big purchase and you want to make sure that you are getting the most for the money that you have budgeted. To help people that have found themselves in this situation, we have put together a list of the best buy dishwashers that are currently available. 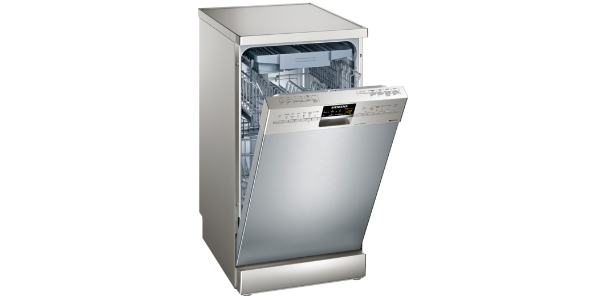 We are not talking here about the overall best dishwashers that you can buy. While getting one of the absolute best models would be great, the high price tag means that they are out of the question for most buyers. The idea with our best buys is to recommend the best machines that you can get for a budget that is a little more reasonable, and a little more realistic for the average shopper. We are making these best buy recommendations to help the average shopper in finding the right machine for them, but ultimately, this is just our opinion. Some people may disagree, but we are pretty confident in our choices. To be sure that you get the right machine for your household, we do recommend doing your own research too. Look at the different features and specs of the models that are available, read buyer reviews, and carefully compare the different machines that you are looking at before finally making up your mind. 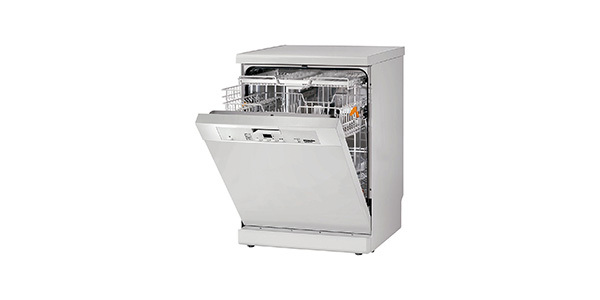 Freestanding dishwashers tend to be the most popular option among modern shoppers. Part of the reason that they are more popular is because they are easier to install, and you don’t need to have a cabinet space set apart for them. This ease of installation provides the buyer with more options for where they will place the machine, and it also makes them easier to take with you if you move home (integrated appliances tend to be viewed as ‘fitted’ so estate agents discourage their removal). At less than £350, the three picks above all offer exceptional value for money. Now, you could find models that will perform better, and ones that will have more features, but these models would be a great choice for anyone working on a budget. Even at this low of a price, these models have scored well in several categories, so we are confident in recommending them to you. 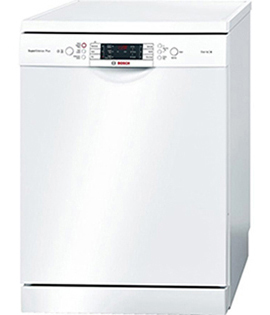 Our top recommendation for freestanding dishwashers that cost less than £350 is the Bosch Serie 4 SMS50C12UK. 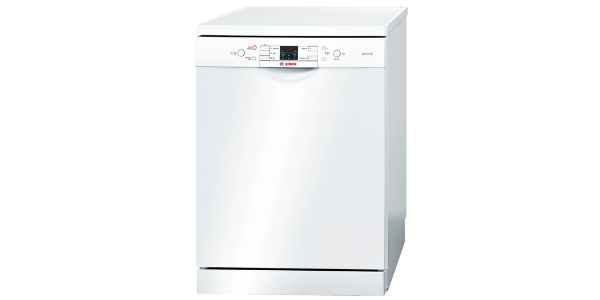 This is a lower end Bosch machine, but it is a quality dishwasher that offers reliability and great performance. It has five wash programs, including intensive, eco, quick wash and normal, plus you get features like VarioSpeed, half load and a delay start timer. It is a machine with a 12 place setting capacity, and it has a versatile interior racking with a height-adjustable top basket. 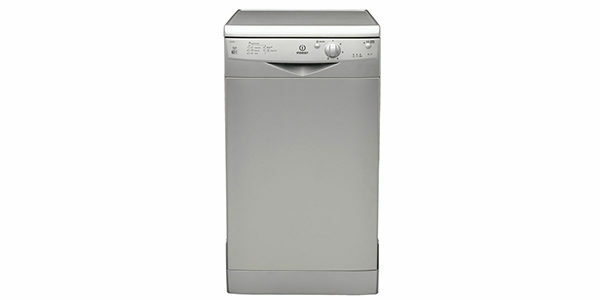 For an inexpensive dishwasher that has some nice features, you may also want to consider the Hotpoint FDFEX11011K. 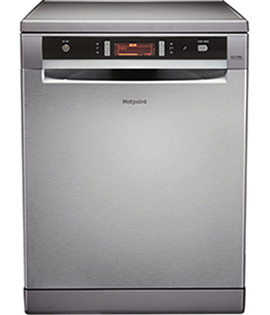 This model from Hotpoint can hold up to 13 place settings, and it has a flexible interior. The buyer gets eight wash programs to choose from, and it has special cycles like sanitize, express and delicate. In addition to that, it has the half load feature, a delay timer, an extra drying feature and the option to speed up some of the cycles. 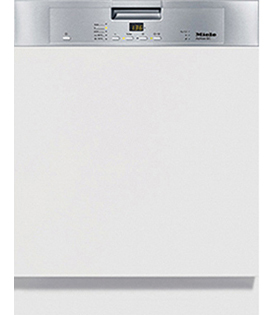 The Zanussi ZDF21001NA is more of a simple machine, but at the price, it’s great value. The user can fit up to 13 place settings, and it has an auto half-load feature for when the machine is not full. The ZDF21001NA has cycles for quick wash, normal, eco, intensive and pre rinse. The interior does have some adjustable racking, including the height of the top basket. It is more of a ‘no frills’ dishwasher, but if you are just looking for something that will get the job done, this could be a great option. If your budget permits, then the machines listed above could be just what you’re looking for. At over £350, they cost a little bit more, but these machines offer more to the buyer in terms of features, performance and options. With a ton of great features and a reliable construction, the Bosch Serie 6 SMS69M12GB is great value and our top pick. The machine can hold up to 14 place settings, it has the adjustable top basket, and racks that fold for a versatile interior. The machine has six wash settings from which the user can choose. You have intensive, eco, delicates, normal, quick and auto. For special features, it has the VarioSpeed, half load and it has intensive zone. All things considered, it is a major step up form the Serie 4 machines (which are still very good). The Miele G4203SC is a machine that is reliably made, and it offers some nice advanced features. With this model, you can fit up to 14 place settings, and the racking options include the height-adjustable top basket and the third level cutlery tray. 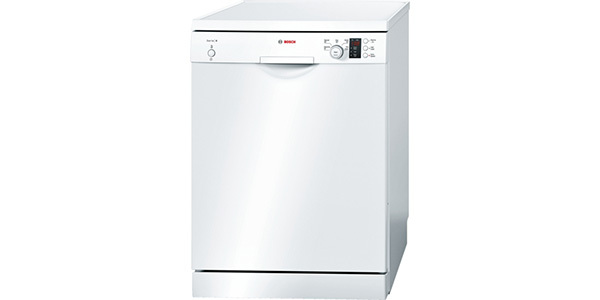 The user gets five wash cycles, including sensor washing for normal and gentle cycles. This machine also comes with the speed up feature to reduce some of the cycle times. In summary, this is a great piece of kit and buyers always rave about Miele so you can be confident you’re buying into a great brand. If you’re looking for the most features and programs for your money, the Hotpoint Ultima FDUD43133X is a machine that should impress. It has a total of 11 wash cycles, including three sensor wash cycles, an express wash, a delicate cycle and one for sanitizing. 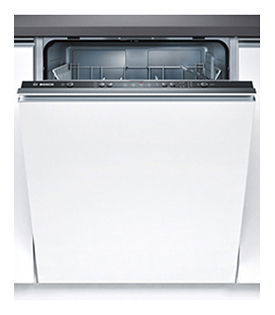 Beyond that, you also get a half-load feature, intensive zone wash and Hotpoint’s Active Oxygen feature. The interior of this machine is fairly standard, but it does have the adjustable top rack and there are some good options for folding racks. 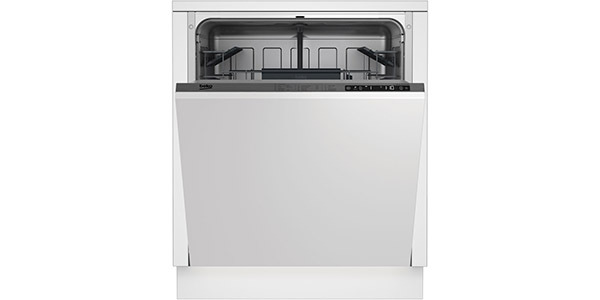 If you’re treating yourself to a new kitchen then there’s a good chance you’ll be considering an integrated (otherwise know as a built-in) dishwasher. They cost slightly more, and they require a little more effort to install but they look great! The main reason that people buy them is because they can be fitted into a cabinet space and covered with a panel that matches the rest of the kitchen so they blend in seamlessly. As mentioned above, integrated models tend to be more expensive for a variety of reasons (more compact size, enhanced ventilation etc) – you can find out more in our buying guide here. At the cheaper end of the market you’re looking at machines where you might be compromising on some of the advanced features available or you might be getting a model that runs a little louder than the more premium models. 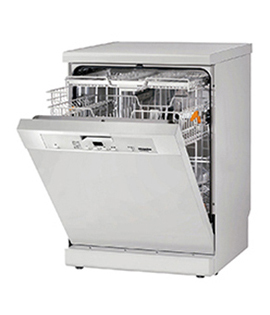 However, we have found three reasonably-priced integrated dishwashers that do perform very well for the money. 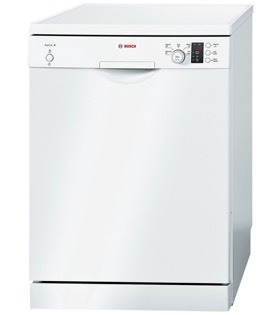 For the price, it is really hard to beat the Beko DIN28R20. 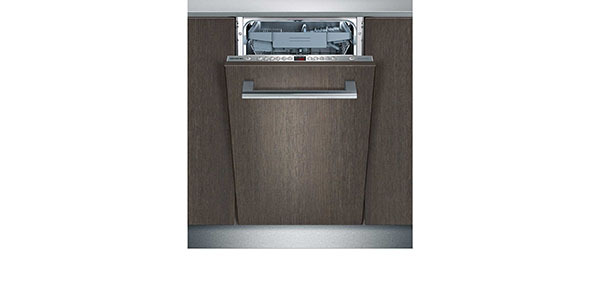 This integrated dishwasher has a 13 place setting capacity, versatile interior racking and some nice features and programs. The machine has eight programs, including intensive wash, a 30-minute quick wash and a glassware setting. For special features, the buyer gets a half-load option and a speed up feature to cut cycle times. For performance and reliability, the Neff S51L43X0GB is a great choice. The interior can fit up to 12 place settings, it has a three-stage adjustable top rack, and it has nice features like extra dry and VarioSpeed. This is a five cycle machine, and it has a sensor wash that should be good for most of your washing. In addition to that, it has the chef cycle, which would be called intensive wash on most other machines, and it has a 30-minute quick wash. The Bosch Serie 4 SMV50C10GB is a little light on the features and options, but it is a well-made machine that delivers great performance. It has a 12 place setting capacity and an interior that offers a lot of loading options. With this model, the buyer gets five wash cycle options, and it has the VarioSpeed feature for cutting down the cycle times. If build quality is the top concern, then this one is a machine that should be in for consideration. 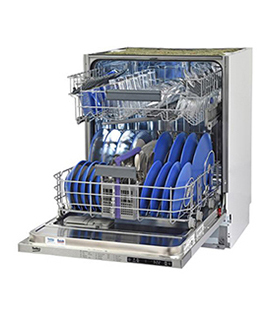 If you have a little more money to your budget, you will find that you can get an integrated dishwasher that offers greater capabilities and features. In this price bracket you will usually find that the available machines offer better value because they can do more, they perform better and in many cases, they last longer. Our top pick, the Miele G4203SCi, is actually a semi-integrated unit, but we think you’ll agree it looks very modern and stylish. If you’re going for the fully ‘invisible’ appliances look then this model may not appeal, but we would certainly suggest considering as it is a great machine. This particular model has a 14 place setting capacity and it offers the user five cycles for washing their dishes. Among the programs, you have an intensive wash and it offers sensor washing for standard loads and gentle. In addition to that, it does have the speed up feature to cut cycle times. The interior of the G4203SCi is well laid out and it has the adjustable top basket and the third level cutlery tray. 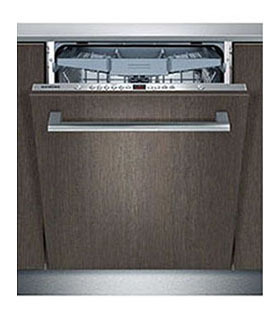 The Siemens IQ500 SN66L080GB is a great dishwasher that is well made. The interior is designed for versatility, and it has nice features like the cutlery tray and the height-adjustable top basket. It has a total of six presets for washing, and also includes a quick wash and a sensor wash setting. For extra features, the buyer gets things like intensive zone and a time saver feature. 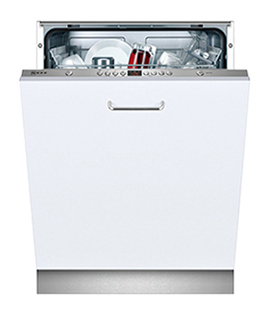 With the Bosch Serie 6 SMV69M01GB, you have a high-end dishwasher that comes at a reasonable price. It has six washing cycles that all perform well, and it has highlight features like sensor washing, VarioSpeed and intensive zone wash. In addition to that, this machine has one of the more user-friendly racking systems that you will find. It has racks that can fold, the adjustable top basket and it uses the third level cutlery tray to free up room in the other racks. In selecting the models that we recommend as best buys, we consider a number of different factors. While in some cases, there are minor points that may play a role in picking one model over a competing machine, the following points are the main deciding criteria that help us to make the decision. Build Quality – For a buyer, it is important to know that they are going to get a machine that will last. All of the nice features and performance can be great, but if the machine breaks down early or continually needs repair, then it is hardly worth considering. We only recommend models that are made by manufacturers that have a good reputation for making quality appliances. Specification – This is a consideration of whether the machine offers a good range of features and functions for the price. Does the machine have racks that offer a lot of options? Does it have features like quick wash and half load? Can you fit a good number of dishes in the machine? Value for money – In this, we are looking to see how well it compares to other machines in the price range that it is in. We consider whether it has features and performance that compare with other models that are similarly priced and whether it offers reliability in comparison with models that are in the same price range. Buyer feedback – Another way to tell if a machine is worth buying is to see what past buyers have said. This can give a better idea of how well the machine works under real user conditions. To gauge this point, we pore over all of the buyer feedback that we can find. Our experience with this has given us the tools to sift through reviews that are less reliable, and give more weight to the ones that are a more accurate representation of what the buyer can expect. 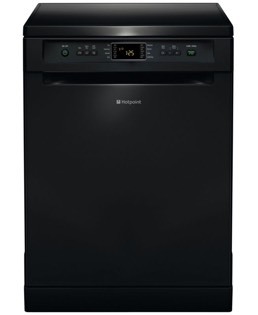 Dishwasher Buying Guide – for buying tips and features & programmes to look out for please see our Buying Guide here.